Interests:A good cigar and a pipe Hunting and watching the kids do sport. whacko, we have a winner for the 'worst brown nosing to the prez' for some time. but it is a good thread. well done. Yeah Keith, you need to brown nose Ken too to even things up mate. Great post, by the way! Great post Keith and well stated. 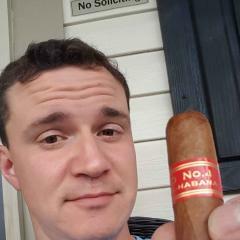 I'm a newbie and am taking my time to soak up all the knowledge this forum and you Gents have to offer! sent from my Sony Z3 using tapatalk. 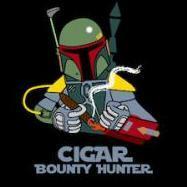 This is awesome, never thought I would see a forum for cigars!!!! Hi Don and welcome to FOH! I suggest you post an introduction here and stick around a bit. Bound to learn a lot. I have been smoking cigars for over a year, but for the last couple of months I have been dedicated to educate myself about this delicious art/lifestyle. Hope to learn a lot. Thank you all. You've found a great place to learn, welcome! My name is Donald and I'm new to FOH! I'm a fan of cigars and definitely looking forward to learning and exploring a lot more!! All great information here for this new guy to FOH. Thanks for the guide! As everyone has said this is a great and informative post. One question however, in regards to "If you're curious about LFTH/LFTW (Live From The Humidor / Warehouse) threads and sales, READ UP ON THEM, use the search function, and watch a few to understand what's going on." I searched but not a whole lot came up that made sense. I'll admit I am not good at searching. Are these a reference to 24:24? Where would I go to "READ UP" on these things? Any help or direction is appreciated as I enjoy reading and educating myself. There hasn't been a LFTH/LFTW sale in a long time. It has currently been replaced with the 24:24/72 sales. IIRC, originally it was 12:12:12; 12 cigars listed on sale at 12pm Brissy time, and only up for 12 minutes. Sales were then left up for 24 hrs with a smaller selection and renamed 24:24. The 24/72 refers to the number of hours the sale is up for. I have no idea what the first 24 now denotes.... and I presume neither does Rob! Interests:My family, cigars, golf, music and enjoying life! As a total newbie I've found this information very useful! Thanks for the heads up! Strong silent type. Eh RoBo? Hi, I'm a newbie here. I'm hailing from Fort St. John, BC, Canada. There's been a lot of smoke in the air from wildfires here in the past three weeks, shame it couldn't all be from great cigars instead. Thanks for this section, I've reposted my intro (since I have been away for an extended time) and look forward to being an active (and hopefully productive) member.